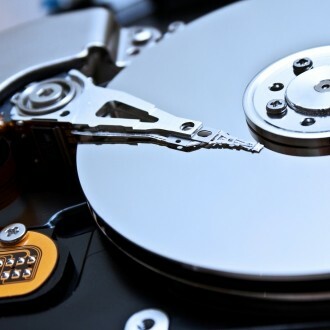 Echoing concerns from various hard drive manufacturers, market research firms IHS iSuppli and Coughlin Associates are predicting that HDD inventories will not be back to normal until the third quarter of this year and prices will likely remain inflated at least until 2014 as a result of last year's floods in Thailand. Both firms agree that the recovery of global hard disk drive manufacturing has begun and will continue during each quarter of 2012. However, with demand still exceeding supply, inventories will continue to be depleted until production is back to pre-flood levels later this year. Shipments are set to decline by 13% in the first quarter of 2012 and by 5% in Q2 compared to 2011 but will return to annual growth in Q3. Prices will remain high for a while longer due to a number of reasons, including the higher costs associated with the relocation of production, as well as higher component costs because of flooding impacts among component makers, according to iSuppli. Coughlin Associates (PDF) estimates the hard drive industry will have to spend about $1 billion to replace and repair manufacturing plants damaged by the flooding. Additionally, the mergers between Seagate and Samsung as well as between Western Digital and Hitachi GST means there are fewer competitors in the market and less pressure to bring prices down. Hard drive prices are estimated to remain about 20% to 30% higher over their average pre-flood prices through most of 2012. Of course, some drives appear to have been more severely impacted than others. For example, the Seagate Barracuda XT line is marked up by 60-140% at Newegg.com, as detailed in a recent article. On a positive note, Coughlin believes the higher prices will help fund expensive new technology transitions by 2015 or 2016 and increase areal density growth rates.